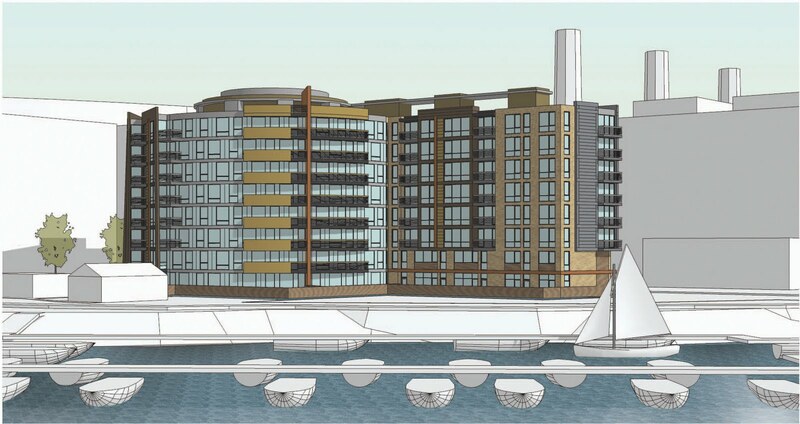 At Monday's ANC 6D meeting, there was supposed to be a presentation on Marina Place, a new condo project planned near the Anacostia River in Buzzard Point. However, the presentation has been postponed because there was a last minute change to the parking amount planned. As a result, the developer (Buzzards Point LLC) postponed the Zoning Commission meeting scheduled for November 4th - the new date will probably be sometime in January. 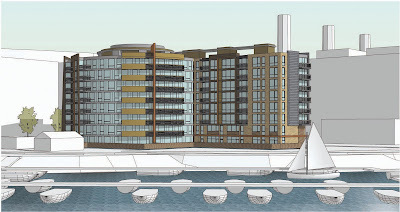 There will be a total of 99 units (nine of them will be affordable units) and 2,047 SF of ground floor retail at Marina Place, located at 95 V Street. The developer anticipates a coffee shop may occupy the retail space. Reading between the lines, I hope the ANC's parking concerns didn't just delay this project by two months.